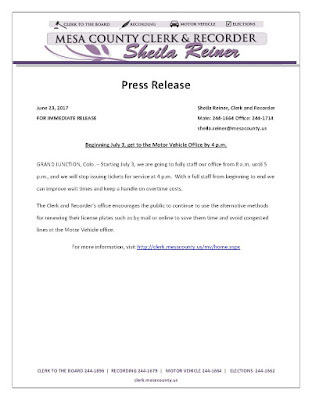 Mesa County News: Beginning July 3, get to the Motor Vehicle Office by 4 p.m.
Beginning July 3, get to the Motor Vehicle Office by 4 p.m. 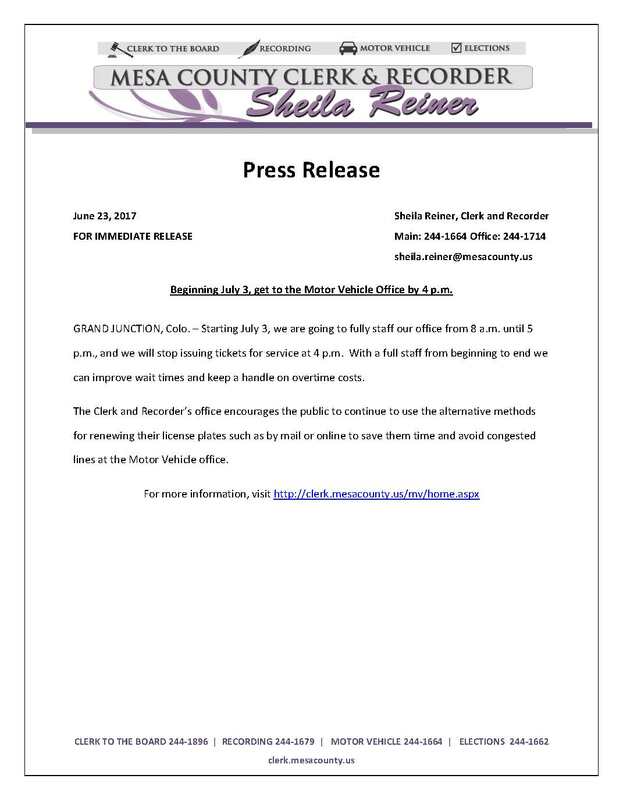 Starting July 3, the Mesa County Motor Vehicle office will be fully staffed from 8 a.m. to 5 p.m. However, service tickets will not be issued after 4 p.m.